Has anyone done the Sydney Harbour tour which includes lunch at the fish market? I have just followed a link from another forum and it looks fabulous,and has good reviews. Thanks for posting link - hadn't found that tour during research I am doing. We were thinking of getting a ferry across to Manly for one of the days. 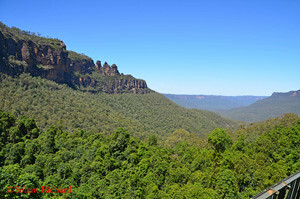 We spent three nights in Sydney last February and used Blue Diamond tours for a day out to the Blue Mountains, highly recommended. We took the local bus (380) to Bondi, tickets available in kiosks. Simple enough. Didn't have enough time for the ferry to Manly, next time perhaps. We did a harbour tour from Circular Quay which was a barrel of laughs, all due to the lovely lady providing the running commentary. All I could think of was Edna Everage. It's a lovely trip across to manley on the ferry. Also well worth doing is the Sydney bridge climb. Yes Manley is worth a visit, and we had really good fish and chips there in February. Loved Sydney, had a great week before catching Arcadia home, and fairness to P&O, everything was very well organised from the moment we got of the plane. I want to do it again now but by Aurora, unfortunately for me Sue doesn't like to be away from home for so long. The best value for money is to take the hop on hop off bus, if you are over 60 years old make sure you get the reduction price. You can buy your ticket at Circular Quay, the only trouble is you cant fit it all in a day. I enquired about these reduced price tickets for over 60s and I was told they are only for residents of Australia. I have been on the hop on hop off twice and both times i have received a reduction for the over 60s, and its worth having as it works out about 10 Australian dollars each. I am aware that you can no longer get any reduction on the ferry's as they stopped that a few years ago. Dorset Buoy wrote: I have been on the hop on hop off twice and both times i have received a reduction for the over 60s, and its worth having as it works out about 10 Australian dollars each. I am aware that you can no longer get any reduction on the ferry's as they stopped that a few years ago. Thanks for that info. I will remember that. I my boyfriend did a day tour around Sydney last year, using this company http://www.sydneyadventuretours.com/. I found them on the internet, the tour guide is friendly and so experienced, they have lunch included in the tour. Suekersh wrote: Has anyone done the Sydney Harbour tour which includes lunch at the fish market? I have just followed a link from another forum and it looks fabulous,and has good reviews. I haven't done that particular tour but have eaten at the Fish Market while on a pre-cruise stopover. It really was a great seafood experience. The tour as a whole looks exceptionally good value. We had 4 days in Sydney in 2014 and covered most of the ground they did. We also did that whole day excursion on the stay i mentioned earlier.